70 degrees and sunny is to the bike path what the 7pm Christmas Eve service is to Church. Those of us who are on the path and in the pew at other times are going to need to learn how to be more hospitable. A few days ago, the weather was just perfect for Boston. The sky was bright and clear, with only the tamest of threats of an afternoon storm. The roads were dry and trees had not yet dropped their leaves on the path. It was a perfect day to ride a bike and the people were. I pulled up to an intersection to find a ten bicycles back-up just to get across the main road. The jumble of cyclists and pedestrians trying to find a sense of order echoed the lightly organized chaos of lining up for communion. On long stretches of straight paths, the hierarchy of bike commuters shakes out, with the faster cyclists in the front. But the intersection was a mess, out of the optimal order from fast to slow. I attempted to patiently wait my turn behind others who I knew were slower than I. The kids in front were slow to get going. Only about 5 cyclists and a handful of pedestrians made it through the intersection before the light changed. The rest of us would wait. As the light turned yellow, an older cyclist still wearing the white foam helmet that ceased being made after about 1989, buzzed around me on the right. “Fairweathers” he muttered. He sped off before I could respond. I am not a Fairweather, I wanted to yell. I ride in Boston in January, you jerk face, traffic law breaker, you. But he was gone. And I was lumped in with this cyclists who only came out when the roads were dry and the sun was shining. There’s a smug superiority we tolerate from those who got here first. We make up words to identify the occasional visitors to our sacred spaces “C & E Christians” (i.e. Christmas & Easter), “fairweathers.” We grumble when they don’t know what hymnal to pick up when we use our secret coded church acronyms in the bulletin, or what the words are to “The Lord’s Prayer.” We snarl when they don’t stay to the right on the bike path or signal a left turn. Those of us who got here first are the ones obliged to create a hospitable space. Remember, the goal is bicycle evangelism. Calling other cyclists fairweathers doesn’t make me feel like I am a part of the community of bike commuters. So what if there are C & E Christians? At least they went to church! And treating them like fools for not knowing the secret liturgical handshakes or knowing how to line up for communion is a sure-fire way to keep them only coming twice a year. Who cares that they are fairweather cyclists? They are on the road, increasing the volume and visibility of cyclists for us all, even for that one day. Be nice to them. Shepherd them along. Teach them how to line up at an intersection as if we were Dutch. I know they slow you down. They slow me down too. But be a gracious host, NICELY say “On your left” and model good cycling manners as you pass on the left. Maybe speed and your connivence are not the most important thing here. 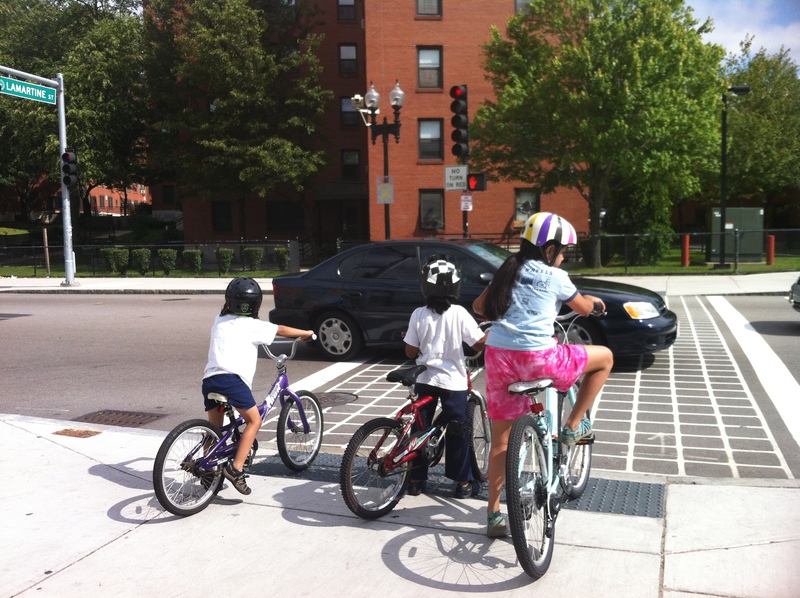 Someone lead you to the good life of bike commuting, be gracious enough to lead these first time riders. Consider smiling to the newcomers. Maybe even say “Hello, nice day for a ride. Where are you going?” We get on our bikes to get out of the hermetically sealed bubble of a car commute, so smile and say hello to your other cyclists. Ask the person who is sitting in “your” pew, “Tell me, do you live around here?” We who have been on these roads and pews before bear the unique obligation, dare I say duty, to act as ushers for the occasional fairweathers and invite them to ride all year.